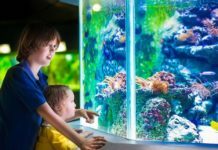 The concept of the sump may seem confusing at first, but sump-based filtration is the best filtration for a marine aquarium set-up. 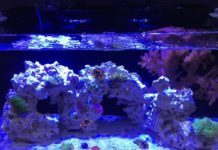 Sump-based filtration is the best filtration for a saltwater tank. Period. 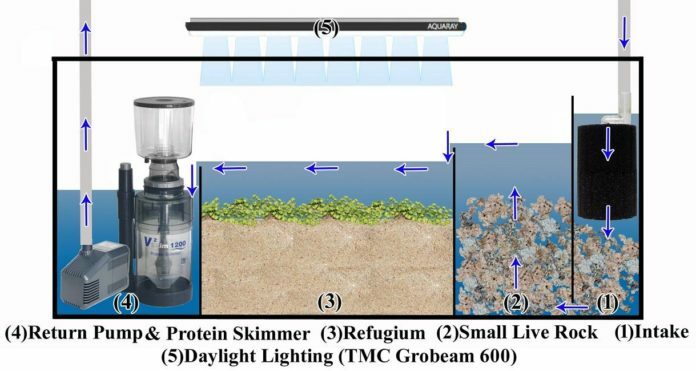 Even nano tanks (tanks under 30-gallons) benefit tremendously from sump-based filtration. But what is a sump? Where do I get a sump? Can I make my own sump? How do I plumb a sump to my system? 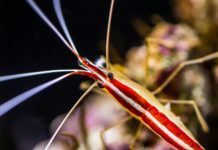 These questions and more plague the beginning aquarist making other “plug and play” filtration systems appear more appealing. No longer! Here is what you need to know to install a sump-based filtration system. 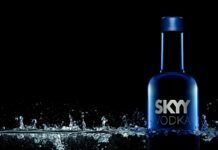 A sump is nothing more than a vessel to hold water. You can (and many aquarist do) build a sump using a plastic tub of some sort. 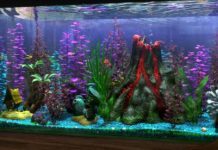 For the purposes of this article, it is assumed that you are buying a production model sump from your local fish store or an online retailer of aquarium products. 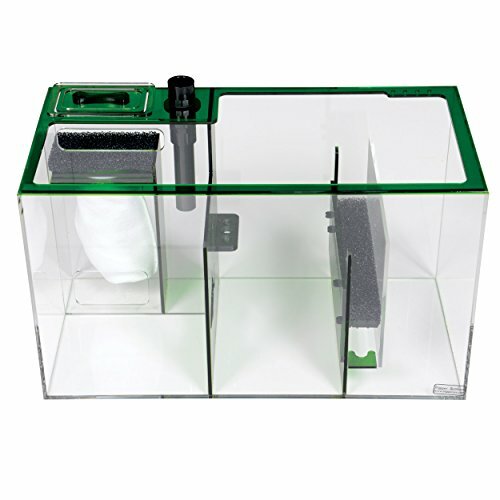 The basic production sump is a two-chambered acrylic box looking much like a fish tank. The main difference is that the sump has a baffle system (or sometimes just a short wall) that separates the two chambers. This baffle system only extends three-quarters of the way up the interior walls of the sump, allowing water to spill from chamber one into chamber two once it reaches a certain depth. Often a filter sponge is fitted in the baffle system between the two chambers. A filter sock is often mounted on an acrylic mount where the water enters the sump, and a bulkhead is generally located low in the second chamber for easy connection to an external return pump (although you can also use a submersible pump (powerhead) in the second chamber of the sump itself). Two traditional sizes for a sump are 10-12 gallons for a tank up to 125 gallons and 16-20 gallons for up to a 250-gallon tank. 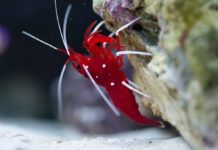 The smaller sump will have a footprint of approximately 2-foot by 1-foot and the larger sump will be more like 30 inches by slightly more than a foot. While these dimensions vary from manufacturer to manufacturer, this is a good guide to use when planning your system. While sumps are rated to a particular size tank (as indicated in the previous paragraph), it is always best to get the largest sump you can afford and fit into the space you have. 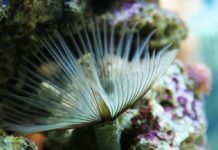 This is the standard rule of thumb for any water-holding component in a saltwater system, as more water volume makes a marine system more stable. 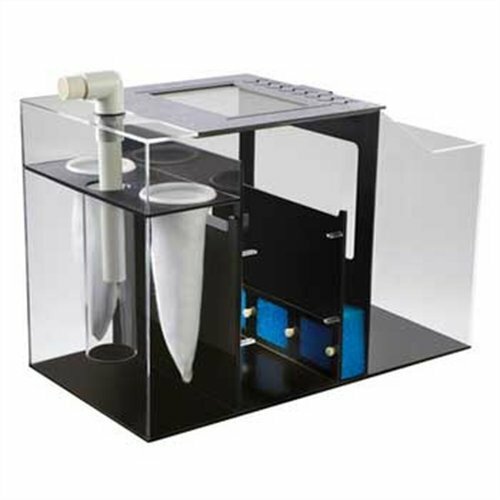 A larger sump also gives you more options in terms of in-sump filtration like protein skimmers, fluidized bed filters, heaters, and the like. One of the dimensions you definitely want to focus on is height. The higher the sump walls, the more overflow from the display tank the sump can hold in the event of a power failure. 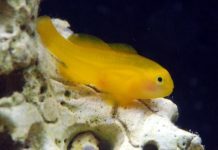 Look for sumps that are at least 16 inches tall. There are other bell and whistles to consider when choosing a sump. Some sumps come with a removable wall so the aquarist can install a refugium in the sump. 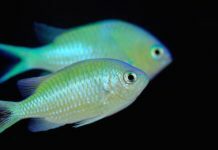 Others come with tops (although these frequently get in the way of sump-based filtration units like protein skimmers and the like). 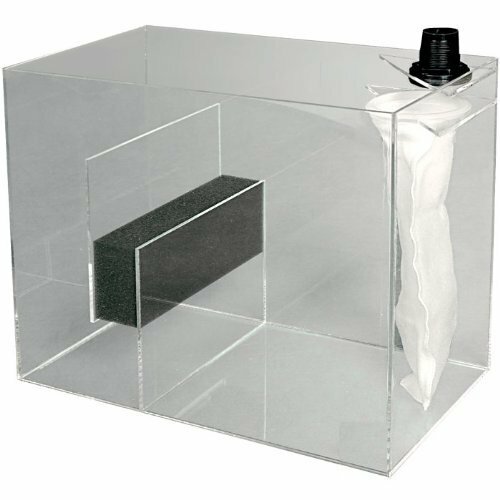 Look for sumps with ¼ inch acrylic walls.